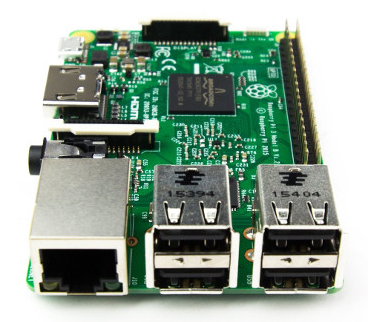 The Raspberry Pi® is an amazing credit-card sized computer that is also very affordable. It has a high resolution HDMI video output, and has inputs for a standard keyboard and mouse. It also be used in a "headless" mode (using your laptop screen and mouse) with the remote access software that is included with the standard Raspbian operating system (VNC). When used with the powerful Node-RED visual design system, you will have a very low cost home automation system. Add our BroadLink® RF-IR Blaster and you'll be able to directly control our roller shade motors, window openers, TV and audio systems, etc. The Raspberry Pi was designed as an educational tool by the Raspberry Pi Foundation in the UK in 2012, and it took the computing world by storm. Instead of the 10k units they were expecting to sell, they sold over 2 million units in the first few years. It has since evolved from there, with built-in Wifi and Bluetooth 4 Low Energy (BLE). 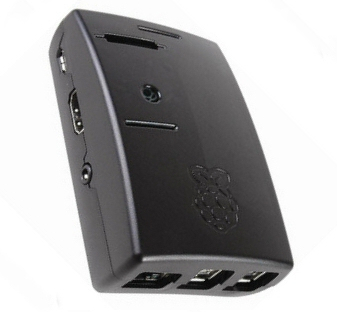 It has enough power to be used as a regular computer for functions such as email, browsing, spreadsheet - which are all built into the Raspbian operating system (an easy to use Linux variant with a graphical user interface). As a home automation hub, using the Node-RED program, it does not depend on the cloud, something we feel is a very important consideration for security and reliability. A few years ago we were completely amazed when we first loaded the Noobs OS installer onto the micro SD card. We plugged in our 12' HDMI projector screen, and booted up the Pi for a first look. We selected the Raspbian Operating System, and after an automatic installation, it booted into a GUI (Graphical User Interface) at high resolution (1080P). We could immediately see that it was complete with browser, email program, office suite, text editor, programming tools, and many other features and programs. WOW! If you are a casual user of a laptop, the Pi is a suitable replacement as a general purpose computer. If you don't have a computer, the Pi would make a good entry point computer. Our principal interest was using the Pi as a home automation controller, running the on-board Node-RED, with support for our BroadLink hub and Grove sensors. The Node-RED software sets up the RPi as a web server on your local wifi network, and you can access it with any browser on any device in your home, including phones and tablets. You can also access it from anywhere on the Internet (if you later decide you want remote access). When used for home automation, it runs in the background and you can still use it as a functional desktop for browsing, email, etc. while the automation system is running. We also have the excellent BroadLink phone apps, and they may very well be all you need (they work stand-alone, the RPi is not needed). This will give you direct control over our blind motors and window openers on your phones and tablets. You can purchase these products in our DIY online automation store. We sincerely hope you enjoy our advanced technology products; if you have any questions, please contact us at any time! Copyright © 2011 - 2019 by RollerTrol™ Automation Systems - All Rights Reserved.